“No es suficiente” es la abrumadora respuesta de nuestra comunidad tras escuchar el anuncio de el Presidente Obama sobre el alivio administrativo. Tenemos que seguir luchando porque quedaron muchos inmigrantes indocumentados desamparados. 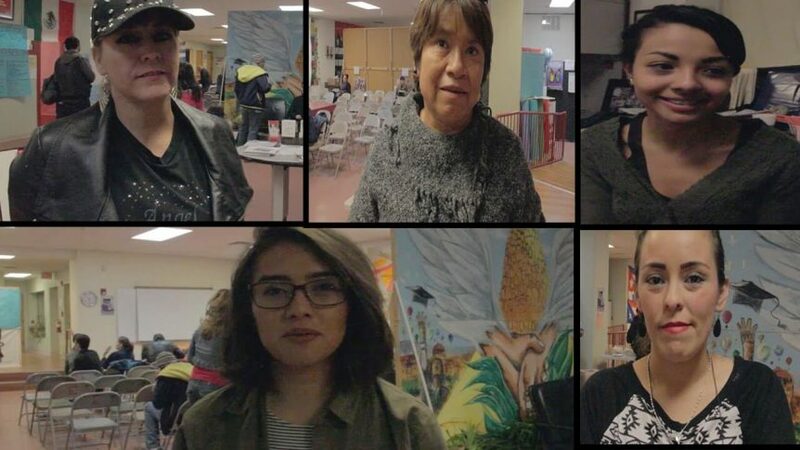 Como por ejemplo padres que no tienen hijos estadounidenses, personas solteras( que son trabajadores), y también estudiantes que no califican con DACA, y con estos son generaciones desde bisabuelos y abuelos que han trabajado por años aquí en los Estados Unidos. Si, este alivio es bueno porque va a ayudar a personas que pueden ser pedidas por sus hijos y eliminar el castigo de diez años y poder arreglar su situación legal junto a su familia. Pero ay que ir por mas y seguir luchando. No vamos a dejar que esto retroceda porque estamos viendo los resultados de nuestra lucha y por esto, con mas ganas, ay que seguir empujando para lograr una reforma amplia y comprensiva. Te invito que te unas con nosotros porque la lucha no a terminado. Infórmate y participa en este movimiento con las organizaciones e instituciones que estén apoyando a nuestra causa. “It is not enough” is the overwhelming response of our community after hearing President Obama’s announcement regarding the administrative relief. We have to keep fighting because there are still a lot of undocumented immigrants that are left helpless. For example parents that do not have children born in the U.S., single people( who are workers), and also students who do not qualify with DACA, and with this these are generations from great-grandfathers to grandfathers who have worked for years here in the U.S. Yes, this relief is good because it’s going to help out people who could be asked for by their children and eliminate the 10 year punishment, and fix their legal situation together with their family. But we have to go for more and continue fighting. We’re not going to let this retrocede because we are seeing the results of our fight, and because of this, with more willpower, we have to keep pushing in order to achieve a broad and comprehensive immigration reform. I invite you to join us because the fight is not over. Inform yourselves and participate in this movement with the organization and institutions that are helping our cause.